Ask the Advocate: Where Can I Find Employment Support? Home › News & Events › Recent News › Ask the Advocate: Where Can I Find Employment Support? You ask, our advocates answer. This month, Suzanne discusses the benefits of employment and how to find supportive employment services. Priscilla called Mental Health Minnesota to speak with me about looking for a job, and returning to work after having spent so much time not working over the past decade. Not unlike others who are out of the workforce for a while, Priscilla had concerns about going back to work. Through a series of questions and answers we discussed what her goals were for employment and created a plan of action. She was interested in returning to work as a personal care attendant. She wanted to maintain her recovery. She preferred to not disclose her disability to her employer. She was interested in having more spending money but she did not want to lose her social security benefits or her health care insurance. We discussed how it would be possible for her work part time and still receive some economic benefits and for her medical assistance to continue. I suggested she contact the nearest workforce center. At the workforce center Priscilla will have free access to classes, computers and counselors who can help her with the nuts and bolts of searching for jobs, writing her resume and cover letters, and learning how to interview for a job. She will be able to get direct feedback from her assigned counselor on how to “handle” the extended unemployment question. After our conversation, Priscilla felt more confident about the steps she needed to take to begin looking for employment. What are some of the benefits of employment? The benefits of employment are much more than simply money. These benefits include: 1)improved self esteem, 2) increased social and quality of life, 3) better control of symptoms, and 4) reduced substance abuse. In fact, studies have shown that working can actually improve your mental health helping to spur on recovery. What kind of supportive employment services are available? Anyone can use the workforce centers which are one stop shop locations. Most of the services are free. There are 13 workforce centers in the Twin Cities and 36 workforce centers in greater Minnesota. Each workforce center offers a wealth of self-help information on preparing for and finding jobs, computers you can use, and trained staff to assist. Some workforce centers even have employment counselors who work specifically with people living with mental illness. 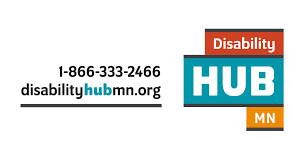 Click here to view a list of workforce centers in Minnesota. My case manager suggested I receive IPS services. What is IPS? Individual placement and support, or IPS, is an evidence based program that assists people living with serious mental illness to quickly seek and maintain employment. IPS is a team based program with a vocational rehabilitation counselor, employment specialist and mental health care provider. Your team will help guide you to “competitive employment” which is defined as employment in the community open to all others that pays a competitive wage. Once employed, the members on your team will help you to address issues that arise so that you have the support you need to maintain working. How do I sign up for IPS Services? You can receive a referral from your case manager. If you do not have a case manager then you will need a referral from a therapist or psychiatrist to the IPS community rehabilitation provider in your county. While all seven metro area counties have IPS programs, the program is not found in all counties in greater Minnesota. If you need assistance in finding how to locate your IPS community rehab provider or how to access supportive employment services, please call Mental Health Minnesota at 651-493-6634 and ask to speak with a Peer Advocate. This entry was posted on May 31, 2018 by Shannah Mulvihill.